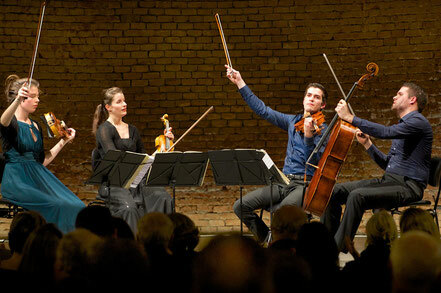 "7th Melbourne International Chamber Music Competition" - Aris Quartett Homepage! "7th Melbourne International Chamber Music Competition"
We are happy to announce that we will be participating in this year's "Melbourne International Chamber Music Competition". After two qualifying rounds we are one of of 8 string quartets worldwide invited to fly to the final rounds in Australia in July - we are looking forward to be there and are excited to compete in Melbourne!